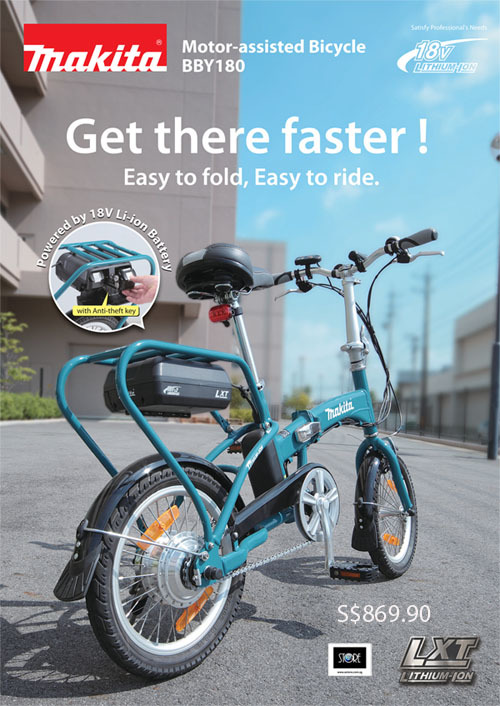 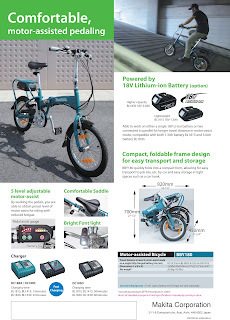 Now you can use your Makita Lithium Cordless Battery to power this cool environmentally friendly foldable bike from Makita- BBY180. 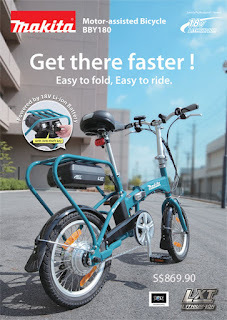 Visit www.estore.com.sg for more details. Charger and battery are sold seperately.